Can You “Bring Back the Book” to a Country That Can’t Afford to Read? Nigeria’s President launched a campaign to inspire reading that was part-election, part-Facebook festival and part-magical thinking. Nigeria's president Goodluck Jonathan promotes reading with a book of his Facebook posts. LAGOS: Nigeria has no national funding for the arts, no government-run grants-awarding body to support the production of books, and no National Book Policy. In place of a proper publishing industry, the country is awash with book printers, supporting a flourishing clan of self-publishing authors. Distribution systems, where they exist, are non-efficient. Illiteracy is rampant, half the 150 million people live in poverty, and for most people buying a mere paperback remains a luxury. Still, on December 20 — just before the start of the new year — Nigeria’s President, Goodluck Jonathan launched a new national reading and literacy project, called the “Bring Back the Book” campaign, in Lagos. The launch was a three-phase affair that started with a school-children’s session in the morning. The President, and Nobel Laureate Wole Soyinka, read to the children from two books: Chinua Achebe’s Chike and the River, and Ake, Mr. Soyinka’s account of his childhood in pre-independence south-western Nigeria. For all of his adult life, Mr. Soyinka has been an avid critic of Nigerian governments, whether in military uniform or civilian garb, and so his presence sent a message that this was a campaign to be taken seriously. 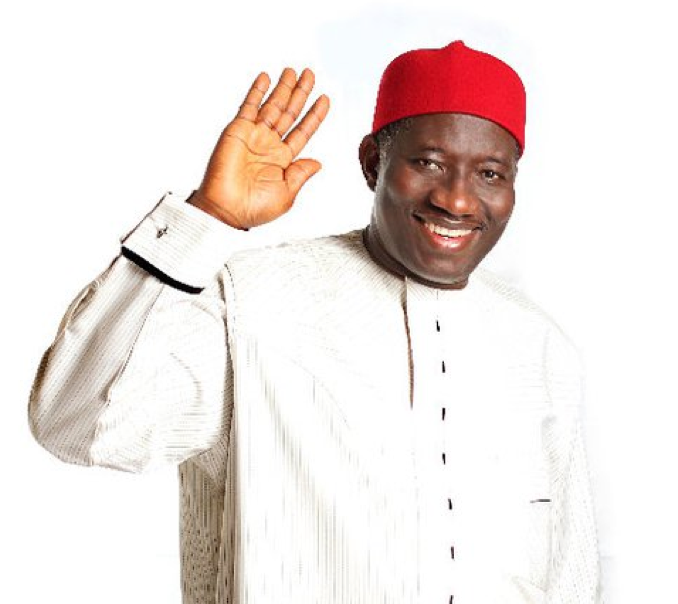 In the afternoon of that day Mr. Jonathan presided over the launch of a book promoted as having been authored by him. 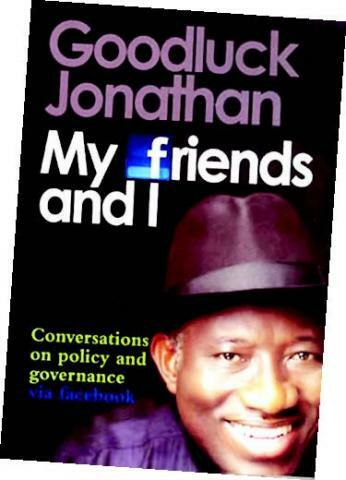 The book, a 357-page tome titled My Friends and I: Conversations on Policy and Governance via Facebook would however qualify to be “the President’s book” only if one decides to take liberties with the interpretation of the concept of “authorship” -– it is actually a selection of Mr. Jonathan’s Facebook postings, and the passionate responses to them from the hundreds of thousands of persons who “follow” him (433,000 at the last count) on the social networking platform. In his remarks at the event the President, who holds a doctorate in Zoology, made an effort to highlight the link between the “book” and the newly-launched reading campaign. “I decided to publish because I wanted to promote a reading culture and accountable governance,” he said. The event itself however only marginally reflected that ambition. Somehow the organizers succeeded in pushing the Book to the margins, allowing music and speeches to dominate the three-hour event. In an article I wrote for the Nigerian daily, NEXT, about the event, I said: “[It] turned out to be part election campaign, part musical concert . . . and part Facebook-Festival”. The third and final event of the day, the only one devoted exclusively to writers (invited guests included novelists Helon Habila, Sefi Atta and Lola Shoneyin), took place later that evening, well away from the media attention that attended the other events. By this time the President and most of his guests had left. In response to the presidential initiative, the Lagos-based Committee for Relevant Art, a non-profit cultural advocacy platform, and organisers of the annual Lagos Book and Arts Festival, organised a conference -– “When the President Wants to Bring Back the Book – What’s to be Done Now?” — on Monday January 17, in Lagos. At the end of the conference a lengthy list of requests emerged; from the writers, publishers, booksellers, librarians, and activists gathered. From that list one will get a good idea of the state of the book industry in the country. How neglected is the publishing industry in Nigeria? A recent interview with Nigerian poet and Professor of English, Niyi Osundare, who teaches at the University of New Orleans, explains a lot. It is generally agreed that the book industry in Nigeria went into a tailspin in the 1980s, with the introduction of IMF-backed economic reforms (the “Structural Adjustment Programme”). The badly implemented reforms –- currency devaluation, removal of subsidies -– hurt the economy and resulted in the collapse of several industries. Book publishing and distribution were not spared. None of these interventions has brought any significant results. Today, publishers like Kachifo and Cassava Republic (read our profile of Cassava Republic) struggle to keep a culture of independent traditional publishing alive, on a landscape dominated by self- and vanity-publishing. But with the Committee for Relevant Art (CORA) stepping in, and with an ongoing literary revival (new writing collectives, residencies, book festivals and competitions), perhaps “Bring Back the Book” will be the initiative that will make the desperately needed difference. One must however keep in mind though that Nigeria’s “book” or “reading” challenges extend beyond the availability of books or the existence of a flourishing culture of book production and distribution. At the root of the matter are two basic issues: economics, and literacy. In a country where more than half of the population is estimated to live below the poverty line, and where a paperback will consume a chunk of the average monthly income, book-buying remains a luxury, and piracy a major problem. Low levels of literacy further worsen the situation. In 2010, 79 percent of students who sat for the June/July Secondary School Certificate Examinations, organised by the National Examinations Council (NECO), failed to attain a “credit” -– the minimum grade required for entry into a University or Polytechnic -– in English Language. English is Nigeria’s official language, and the one used in government and education. Tolu Ogunlesi is a poet, essayist and features editor at Timbuktu Media/NEXT Newspapers in Lagos, Nigeria. In 2009 he won the Arts & Culture Award at the CNN African Journalist of the Year Awards. He’s currently finishing his MA in Creative Writing at the University of East Anglia in the UK. DISCUSS: How Can E-books Revolutionize Literacy and Publishing in Africa?